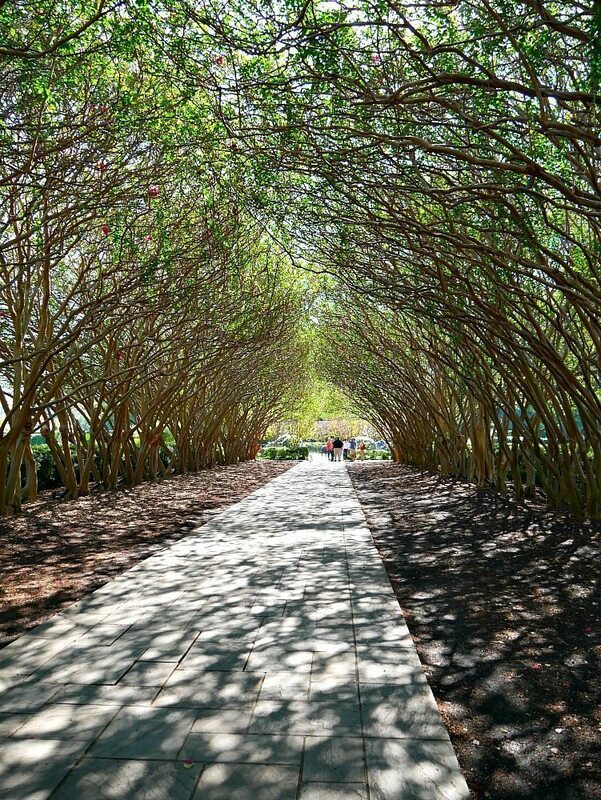 So many people told me that I HAD to visit the Dallas Arboretum and it didn’t disappoint. In fact, it was so amazing that I wanted to capture all of the beauty and post about it. 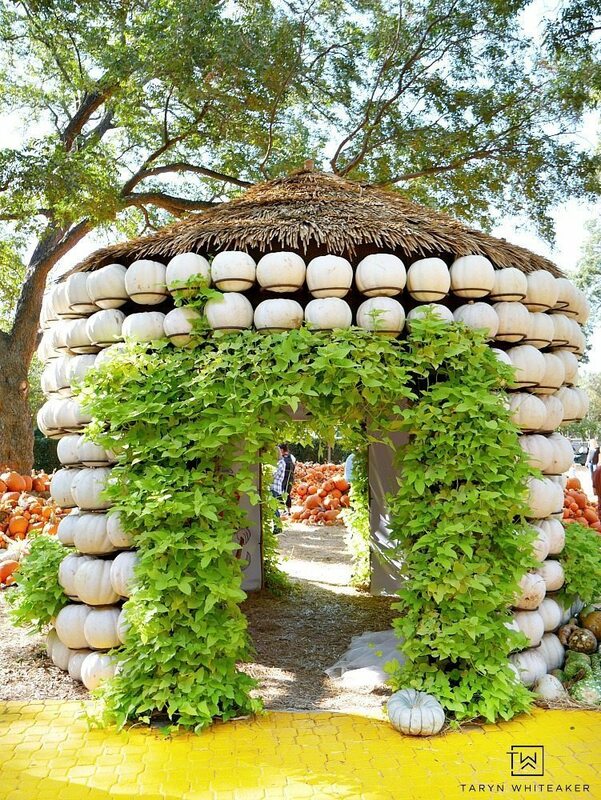 Also because I know how much all of you LOVE pumpkins and fall just as much as I do! Visiting during the fall was simply magical. 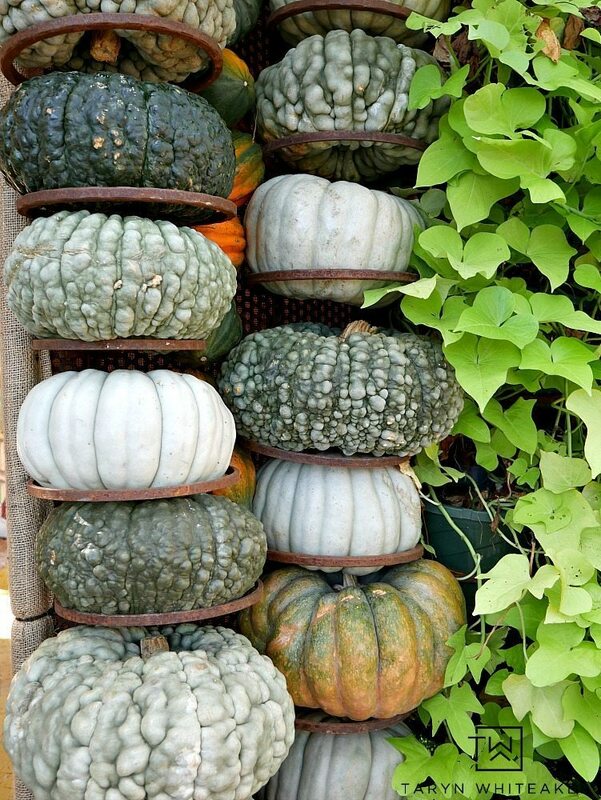 If you love fall, pumpkins, I mean like 90,000 pumpkins, beautiful botanicals, and nature. You HAVE to take a trip here during the fall. 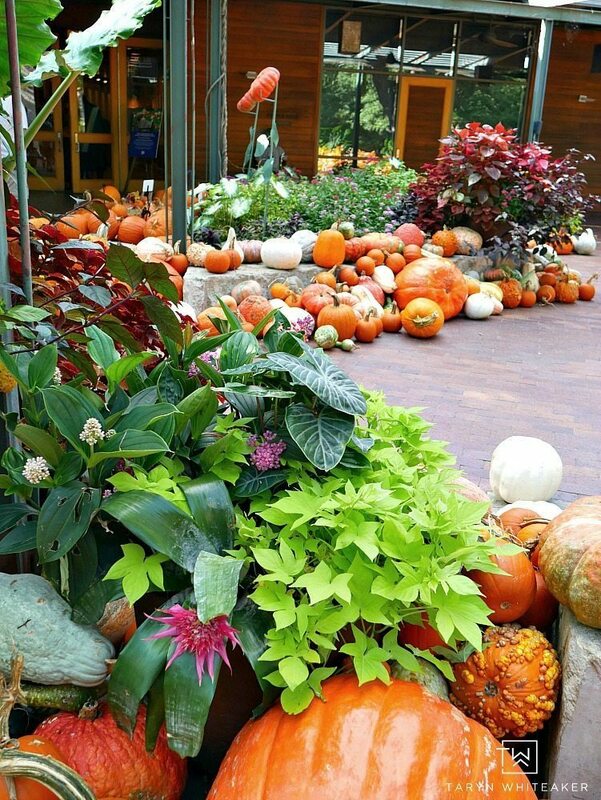 The beauty begins right as you enter the Arboretum with hundreds of pumpkins on display mixed with vibrant botanicals. Every walk way is lined with pumpkins and I couldn’t help but think how I wanted to line our entire driveway and landscaping with pumpkins when I got home. 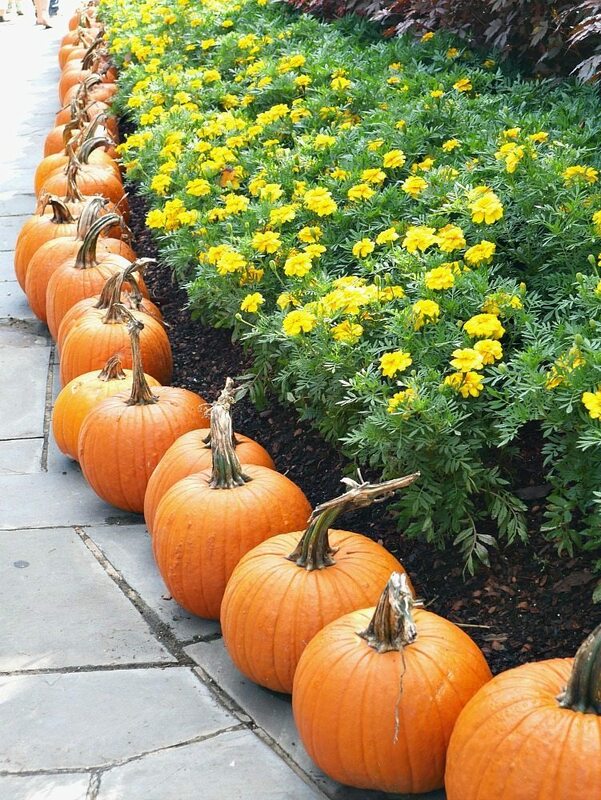 I loved the simplicity of a single line of pumpkins that also made it feel so festive and just plain pretty. 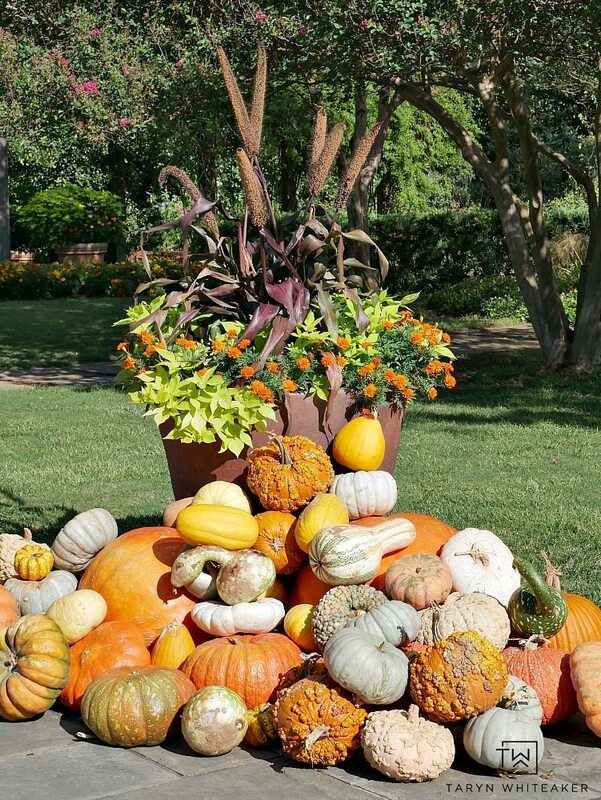 I absolutely loved this display of the different kinds of pumpkins. I honestly had no idea they each had their own unique names. 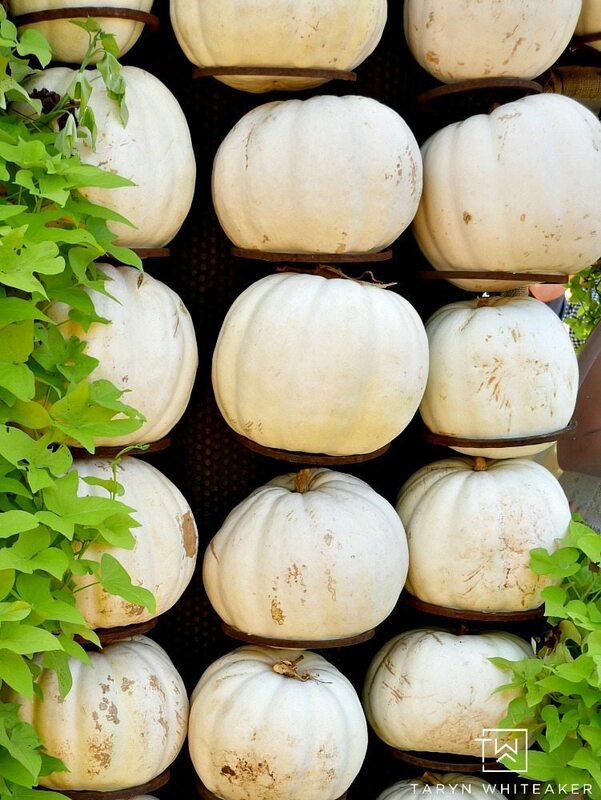 I loved learning about all the names of the pumpkins that I love using around my house. In fact, I learned that the ones we are growing in our yard are called Crystal Star Pumpkins! 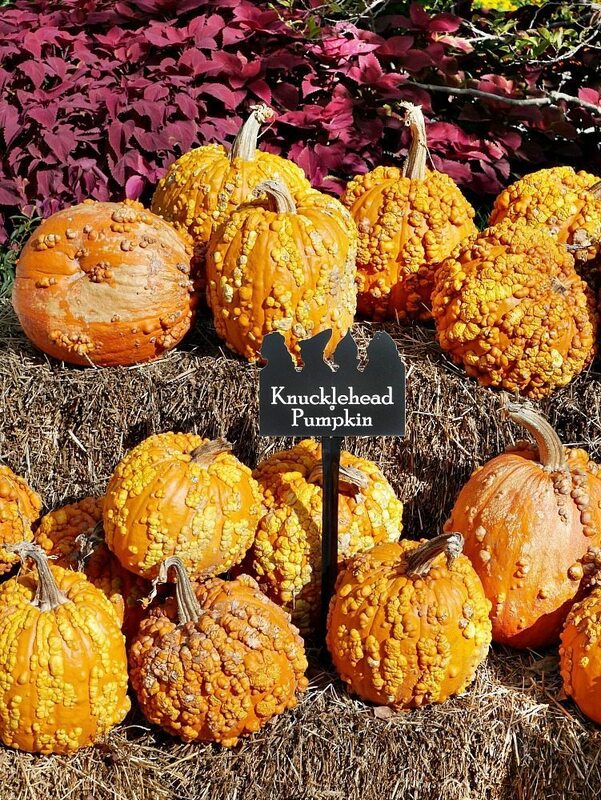 And I got a kick out of these ones :) During this time of year they have their annual Pumpkin Village and I was completely blown away. It was so incredible. 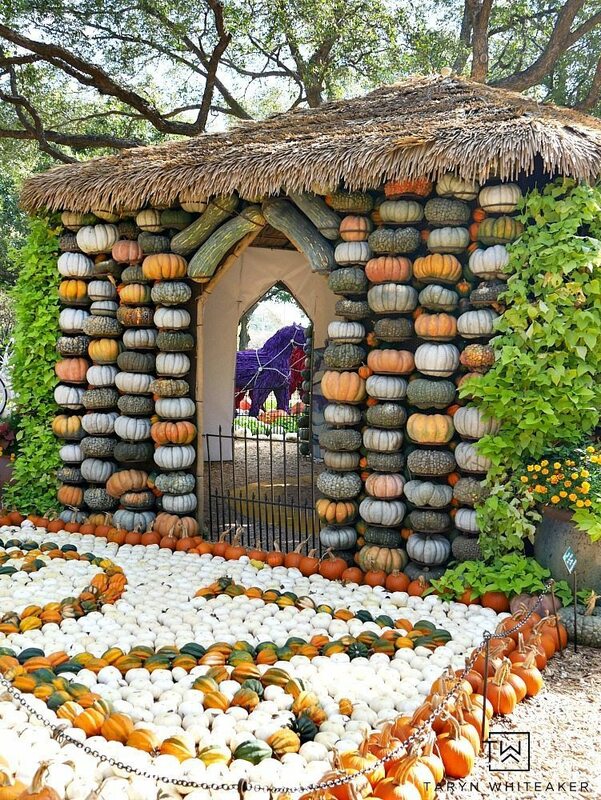 Everything from the designs of of each pumpkin house, to the unique way they displayed pumpkins and all of the different kinds that they display. I was in fall heaven. I mean the design work on building these houses was SO amazing. Each them have their own color scheme and theme and they are designed right down to the tiniest details. This one was Wizard of Oz theme. As much as I love traveling with just my husband, this is one of the times that I wish my kids were with me because they would have absolutely loved it. I wish we lived closer to Dallas, instead of a 4 hour plane ride, because I would take an extra drive with them just to see this amazing display. This is white pumpkin heaven right here. The Pumpkin Village is more than just a few houses, it’s also huge play area with incredibly creative displays that incorporate pumpkins in such a unique way. 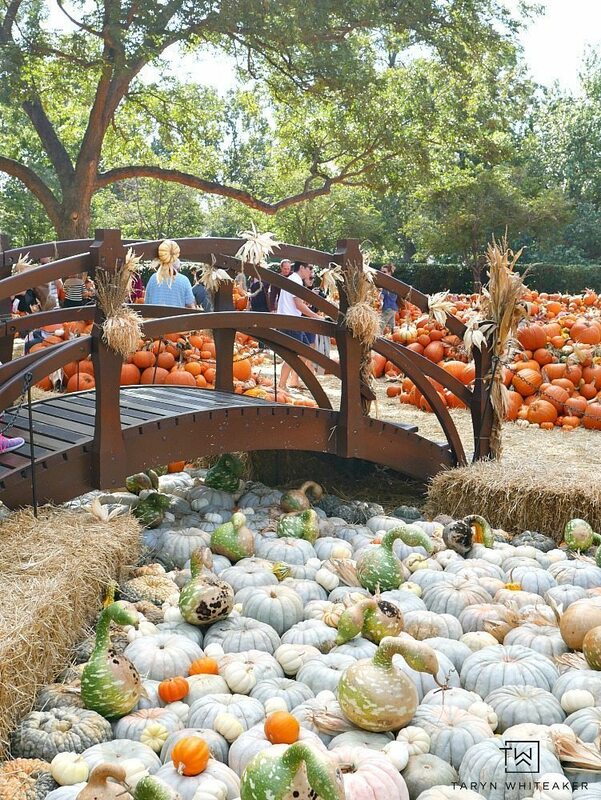 Just look at this adorable bridge over a pond of blue pumpkins with little ‘swans’. 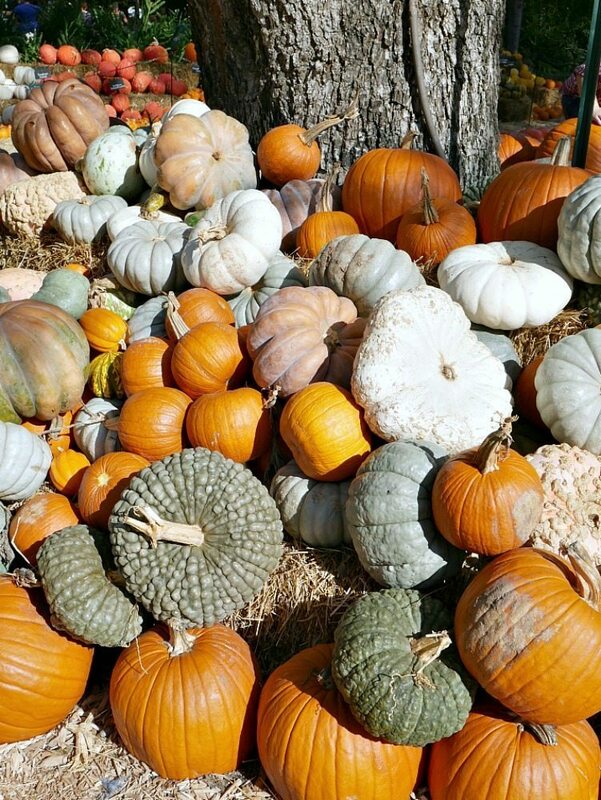 I mean if this many pumpkins doesn’t get you excite about all the beauty of fall, I don’t know what will! There are even more amazing houses on display than I was able to capture. We went on a Sunday and it was packed with families and photographers so it was hard to get pictures without hundreds of people in them. I’m surprised I got this many! But if you are within driving distance to Dallas, GO CHECK THIS OUT! This is nature’s beauty at it’s finest. Look at all these amazing colors and textures. Walking around the grounds they have so many little touches that I just loved. 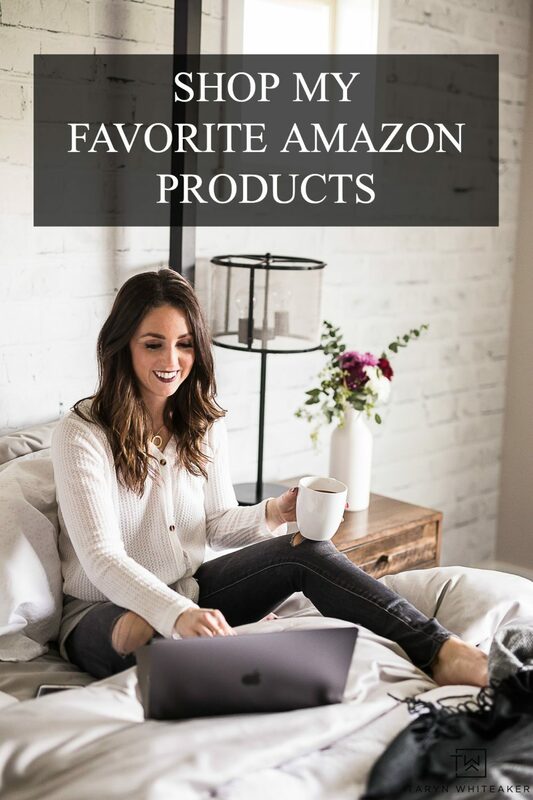 And so many little things that you could incorporate into your own home as well. 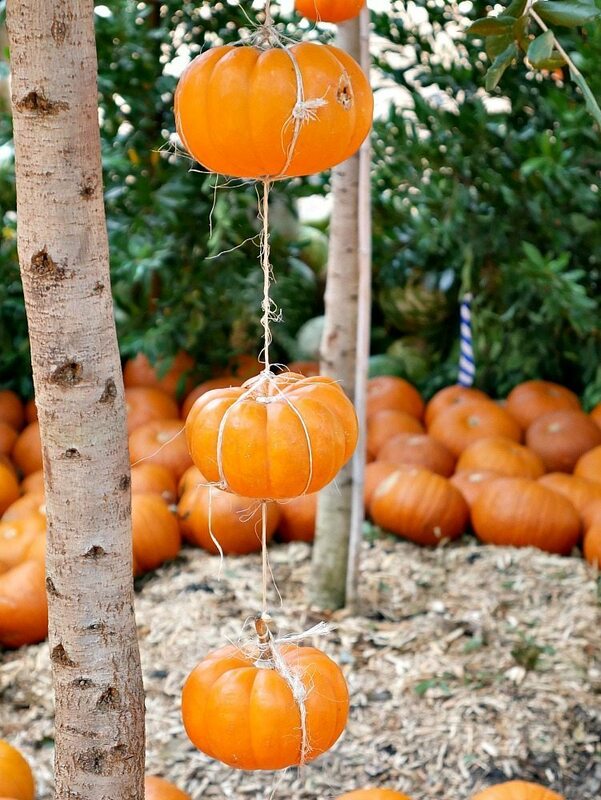 I just love these little hanging pumpkins on the trees. All it takes is a little string! I loved this ginormous display around the grounds, especially since it used millet grass which I put on our fall porch this year. We continued to walk around the grounds for over an hour. There is so much to look at even outside of the Pumpkin Village. It was so charming and just gorgeous. 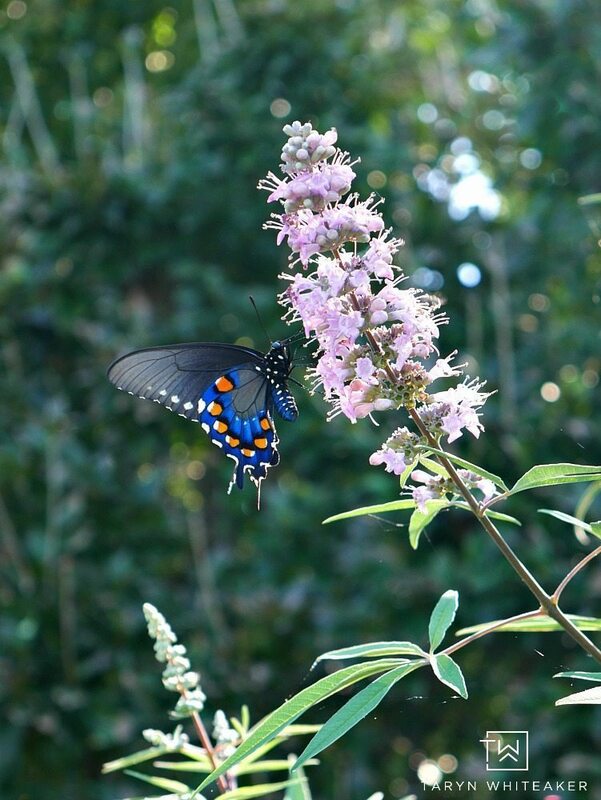 We even ran into this beautiful butterfly that stayed long enough for me to capture. I was so drawn to this archway. I kept thinking that it reminding me of a fairytale. Imagine it covered in twinkle lights and dancing through here. What was the best surprise of all, is that after walking through here with my husband feeling so romantic we actually saw a couple get engaged at the end of it! It was so sweet. 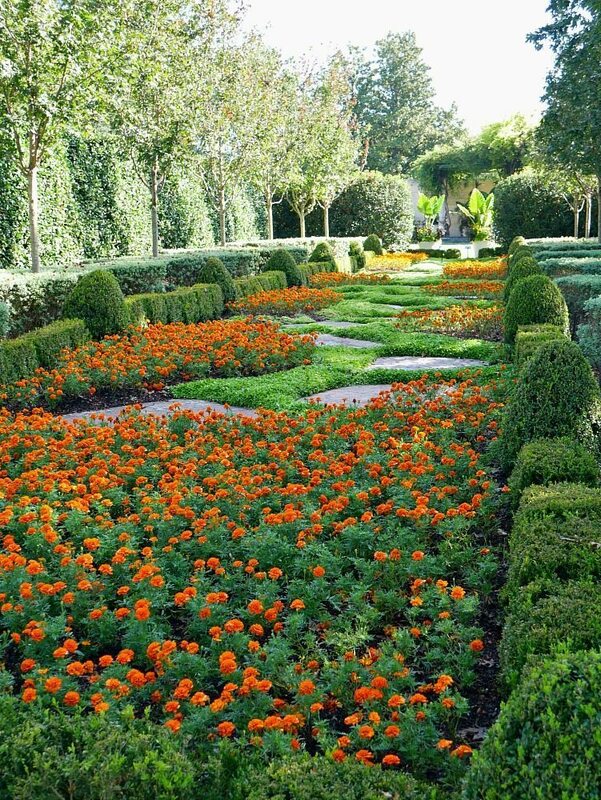 Hope you enjoyed a glimpse into the Dallas Arboretum, I can’t wait to go back next time I’m in town. It all looks amazing, but with the last photo these questions popped into my head. Who gets to clean all of it up? 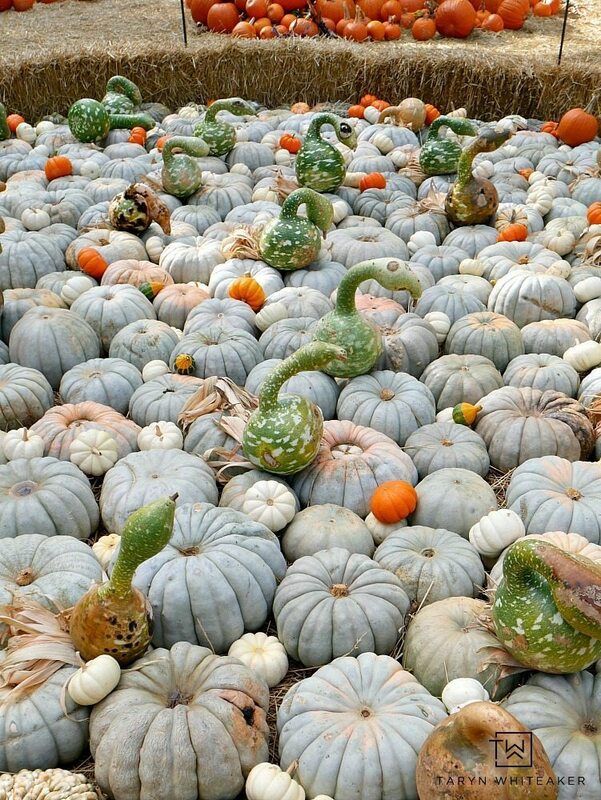 Where do all those pumpkins go? We were there a week before they opened this section. Thank you so much for sharing. The gardens are beautiful. I’m glad you got to visit the arboretum! 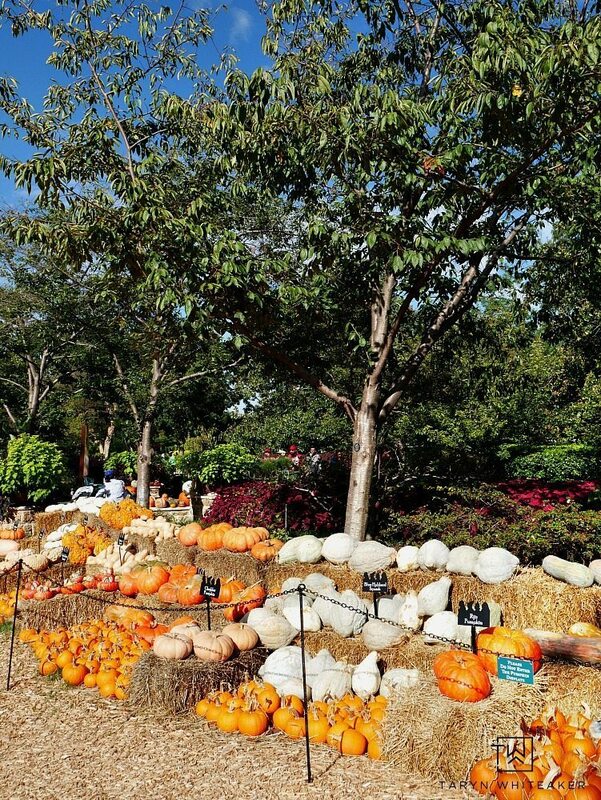 The Autumn at the Arboretum event is definitely one of their events you don’t want to miss. 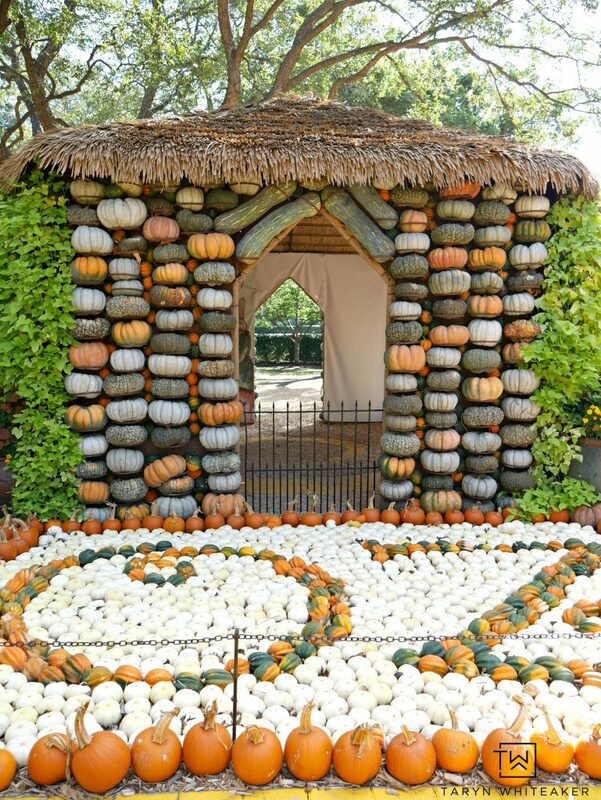 I was thinking of who does all the placement of the pumpkins. 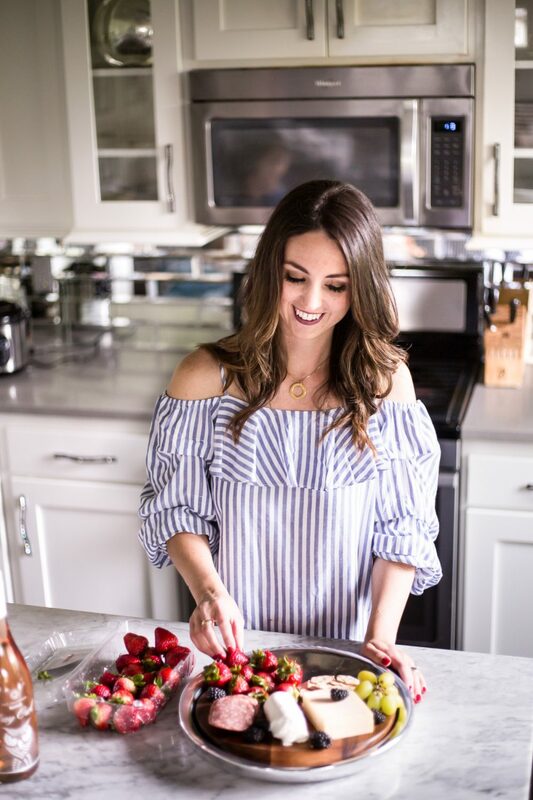 That kind of designing doesn’t happen overnight, imagine would take several days or weeks to get organized.So glad you shared your photos Taryn, this was so exquisite to experience. Your photos are great.